Home Academics Miami Law Post Graduate LL.M. Programs Faculty: White & Case International Arbitration LL.M. Faculty: White & Case International Arbitration LL.M. "The UM faculty provides mentorship and training from the world's leading minds in various areas of International Law. Professors like Jan Paulsson and Albert Jan van den Berg gave me the solid grounding required for the fast moving world of arbitration today. All of this in a beautiful environment that constantly teaches you to think globally." Private Sector Development, World Bank Group, Washington, D.C. The University of Miami School of Law is proud to say that the professors in the International Arbitration program are “world-class arbitrators” according to the International Who’s Who of Commercial Arbitration, Chambers & Partners Global-wide, the Legal 500 in International Arbitration, and Top Lawyers in International Trade and Arbitration. Admission to the program is highly selective, which allows for heightened attention and effective mentoring from faculty who help students to start or advance their careers in international arbitration. One of the “founding fathers of commercial arbitration,” Professor Jan Paulsson, holds the Michael Klein Distinguished Scholar Chair of our LL.M in International Arbitration. He is a former President of the London Court of International Arbitration and the International Council for Commercial Arbitration, served as a Vice-President of the ICC International Court of Arbitration, and is now a partner at Three Crowns. A world leader in the field, Professor Paulsson has participated as counsel or arbitrator in over 700 arbitrations in Europe, Asia, the United States and Africa. Professor Rudolf Dolzer is a professor at law at the University of Bonn and has published extensively on issues of international investment law, including Bilateral Investment Treaties (1995, with M. Stevens) and Principles of International Investment Law (2nd ed. 2012, with C. Schreuer). In 2015, the Hague Academy of International Law published his Lectures on international cooperation in energy affairs. 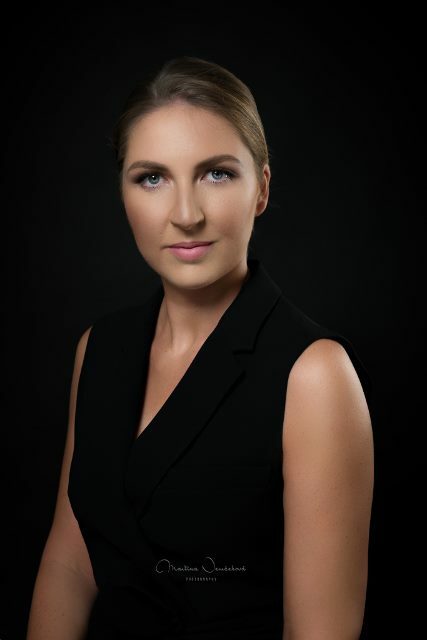 He continues to act as expert, counsel and arbitrator in numerous arbitration proceedings..
Sandra Friedrich is the Director of the White & Case International Arbitration LL.M. Graduate Law Program and a Lecturer in Law. Previously, she practiced law at Latham & Watkins in New York, focusing on complex commercial and investment arbitration proceedings as well as related litigation. Professor Friedrich has co-authored several publications on international commercial and investment arbitration, including an article on Disclosure in International Arbitration Proceedings in the United States published in the American Review of International Arbitration and an article on Investment Arbitration in East Asia and the Pacific published in the Journal of World Investment and Trade. Friedrich is currently working on her doctorate thesis at the University of Cologne on the definition of investment under the ICSID Convention. Martin Hunter is a barrister at Essex Court Chambers practicing in the field of international arbitration. He was the Partner in Freshfields for 27 years, leading the firm's International Arbitration Group. He has served as counsel or arbitrator in cases held under the rules of most of the world's principal arbitral institutions and arbitration centers. He is also known as the co-author of Law and Practice of International Commercial Arbitration and has also been published extensively in specialist arbitration journals and elsewhere over the last twenty-five years. Jonathan C. Hamilton is Partner and Head of Latin American Arbitration with the global law firm of White & Case LLP. He is a leading authority on international disputes and investment, complex negotiations and crisis management. Since commencing his career with White & Case in New York, he has been based in Mexico City and Washington, D.C., and he works closely with the Miami, Madrid and Sao Paulo offices, and beyond. Daniel E. González is a partner at Hogan Lovells and the Global Head of the firm's international arbitration practice. He dedicates his full-time practice to international commercial litigation and arbitration, and has a broad background in finance, accounting, and securities that clients depend on to handle complex commercial, construction, telecommunications, and other infrastructure development disputes in the United States, Latin America, and Europe. Andrés Jana is the Partner in charge of the International Arbitration Group at Bofill Mir & Alvarez, Santiago, Chile. He is the Chilean delegate before the United Nations Commission on International Trade Law (UNCITRAL) and is a member of the Working Group on Arbitration Involving States or State Entities of the ICC's Arbitration Committee. Andrés Jana has an extensive practice in commercial and investment arbitration. Carolyn Lamm is top-rated arbitration lawyer, heading White & Case Arbitration practice in Washington D.C. She is known for her ICSID, NAFTA and commercial forums experience, as well as her past presidency of the American Bar Association. Lamm is involved primarily in the representation of foreign corporate clients and foreign sovereigns. Luis M. O'Naghten is a partner in Baker & McKenzie's North American Litigation Practice and International Arbitration Group in their Miami office. His primary area of practice is international complex commercial litigation and arbitration. He has represented parties in disputes before United States courts and before international arbitration panels in a wide range of disputes. His practice focuses on international financial frauds, energy disputes, and corporate commercial disputes. Marike Paulsson is Director of the University of Miami School of Law’s International Arbitration Institute and Lecturer in Law. She is a consultant at Shook, Hardy and Bacon in Miami, and former counsel at Hanotiau & van den Berg in Brussels, Belgium. She has authored numerous publications on international arbitration and the 1958 New York Convention. Professor Paulsson is the author of the upcoming treatise on the New York Convention, “The 1958 New York Convention in Action.” She is writing her Ph.D at Leiden University on enforcement of annulled awards under the New York Convention. John H. Rooney represents clients in international business matters. He has served as counsel in arbitrations under the rules of many arbitral institutions, and represented clients in arbitration-related litigation. He is the chair of the Inter-American Bar Association's International Arbitration Law Committee and a consultant for UNCITRAL. Professor Rooney has written and spoken extensively on the subject of international arbitration both in the United States and abroad and coaches the law school's Vis International Arbitration Moot, held in Vienna, Austria every spring. Luke Sobota is a co-founder of Three Crowns and active in investor-state, inter-state, and commercial arbitrations. He is working on several investor-state arbitrations that involve claims of expropriation, fair and equitable treatment, and denial of justice—as well as applications for interim measures. He is advising two sovereign clients on issues of public international law relating to treaty and water issues. Professor Sobota’s commercial work spans the energy, financial, and technology sectors, and includes spearheading one of the largest ICC cases ever. He has substantial experience in cases governed by civil law. Nassib G. Ziadé is the CEO of the Bahrain Chamber for Dispute Resolution (BCDR), the former Director of the Dubai International Arbitration Center (DIAC) and the former Deputy Secretary-General of the International Centre for Settlement of Investment Disputes (ICSID). Professor Ziadé has extensive experience in the administration of international legal proceedings and in the management and development of international tribunals. 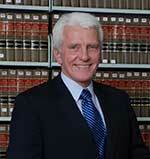 He has published extensively in the field of international law.